Keeping your mind open to various types of music can truly be a spice of life. Sometimes you listen to a band that wouldn’t normally be in your rotation and it opens you up to a whole new world of styles and acts. Today’s featured artist may have been in the mainstream, but the genre isn’t one that regularly hits Top 40 radio. Quentin Cook was born in Bromley, England in 1963. Going to a small, independent grammar school, music wasn’t necessarily a big part of his young life. As Quentin grew older, he began taking interest in music he’d hear on the radio and occasionally mimic the beats. He began playing drums in a local band and a short time later found himself the lead vocal after the prior frontman had to ditch the band to focus on school work. Quentin also found another calling: tinkering with putting his own music together as a DJ. After releasing his first studio record in 1996, one of his singles saw modest success in the U.K. 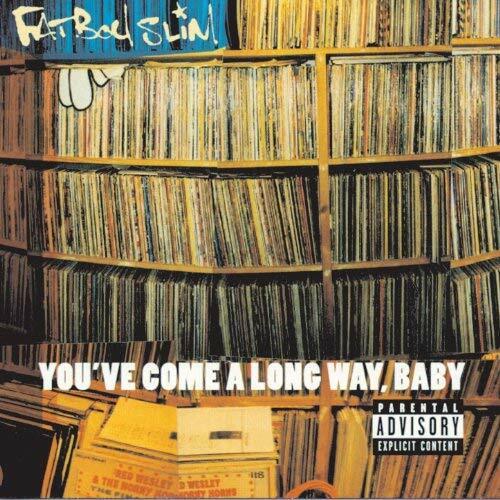 Trying to think a bit bigger with the second release, You’ve Come A Long Way, Baby dropped in October of 1998. Backed by the leaked first single ‘The Rockafeller Skank’, the album was highly anticipated in the U.S. Over time, four commercially released singles would hit the Billboard Charts, something very unusual for the ‘dance’ genre. A music video directed by Spike Jonze was featured heavily on MTV and won numerous awards. Critically, the album was referred to as the ‘new standard’ in big beat/dance albums. It’s been listed as #81 in the “100 Greatest British Albums Ever” by Q Magazine and featured in the 1001 Albums You Must Hear Before You Die. From a sales perspective, roughly 10 million copies sold to date, with the bulk of that sales happening in the U.S. and the U.K.
Truthfully, if you were listening to the radio in 1998, you knew the ‘funk soul brother’ because it was played every 10 minutes. Those of us that were courageous to purchase the album based on that lone single, I think we all expected to be let down. But you throw this on, and while it’s not quite as poppy as the lead single suggests, it’s undeniably catchy and toe-tapping. Track to track there’s a very different vibe, but each song has its own unique, intense beat. You get nine tracks deep and suddenly you hear a strong piano open and think you might finally get a slower tune. But after a bit of an intro, the beat kicks back in and punches you in the face and flips into one of the star features of the record. Given the entire album was made on a computer and saved in sections on floppy disks (remember those? ), it just makes the lore of this album even greater. For most music fans, you might remember a song or two with some provoking, but many would be surprised with how solid this one is start to finish. Fatboy Slim turned into be a household name to a certain extent with things like the “Praise You” or “Weapon of Choice” videos (featuring Christopher Walken), but the music is still number one for me. For a mere $5 bucks, your soul will be surfing when you put this album on today. Happy Tuesday music fans! Editor’s disclosure: there are two songs on this album that have explicit lyrics.